Horizon exposes a client-side API that allows you to interact with the underlying database. This means you don’t have to write any backend code. All you have to do is spin up a new server, run it and Horizon will take care of the rest. Data is synced between the server and the connected clients in realtime. If you want to learn more about Horizon, you can check out their faq page. RethinkDB serves as Horizon’s database so you’ll have to install RethinkDB first before installing Horizon. You can find out how to install RethinkDB here. The Horizon server serves as the backend of the app. It talks to the database whenever the app executes code. This creates the RethinkDB database and server files that Horizon uses. --secure no: This means that websockets and files aren’t served over an encrypted connection. --permissions no: Disables permission constraints. This means that any client can perform whatever operation they want in the database. Horizon’s permissions system is based on whitelisting. This means that by default, all users doesn’t have permission to do anything. You have to explicitly specify what operations are allowed. --auto-create-collection yes: Auto-creates a collection on first use. In Horizon, collections are the equivalent of tables in a relational database. Setting this option to yes means that every time a client uses a new collection, it’s automatically created. --auto-create-index yes: Auto-creates an index on first use. --start-rethinkdb yes: Automatically starts a new instance of RethinkDB in the current directory. --allow-unauthenticated yes: Allows unauthenticated users to perform database operations. --allow-anonymous yes: Allows anonymous users to perform database operations. --serve-static ./dist: Enables serving of static files. This is useful if you want to test interactions with the Horizon API in the browser. The horizon server runs on port 8181 by default so you can access the server by visiting http://localhost:8181. Note: The --dev option should never be used in production because it opens a lot of holes for attackers to exploit. The horizon script is served by the horizon server. Note: You have to change the URL if you’re going to deploy this later. This sets up a route for the default app page. The route specifies the template used for the page as well as the URL where it can be accessed. Breaking down the code above, first set the default state. has_joined determines whether the user has already joined a room. ready determines whether the user is already connected to the Horizon server. You do not show the UI of the app to the user while this is set to false. As I said earlier, Horizon runs on port 8181 by default, that’s why you’ve specified localhost:8181 as the port. If you’re connecting to a remote server, this should be the IP or the domain name assigned to the server. When the user is connected to the server, the onReady event is triggered. This is where you set ready to true so you can show the UI to the user. 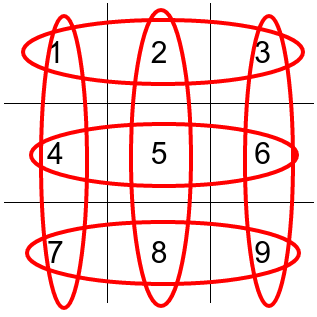 Inside the function, connect to a collection called tictactoe. Note: Since you’re in development mode, this collection is automatically created if it doesn’t already exists. Set the username and the default player score. Note: These variables are bound to the template so you can show and update them at any time. Query the table for documents that has a room set to the current room and the type of user. Don’t get confused by the use of the subscribe function, you’re not actually listening for changes. You’ve used the fetch function which means it will only execute once the user joins a room. Once a result is returned, check for the number of users. 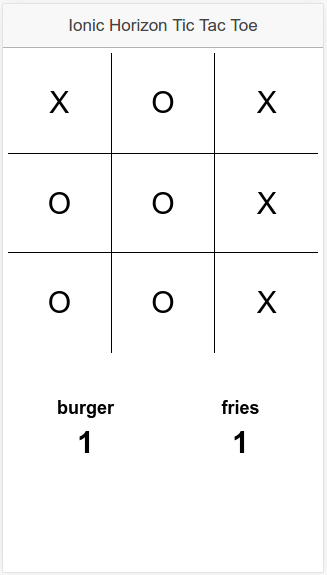 Of course tic-tac-toe can only be played by two players so alert the user if they try to join a room which has already two players in it. Otherwise, proceed with the logic for accepting a user, determining the piece that will be assigned to the user depending on the current number of users. The first person to join the room gets the “X” piece, the second person gets the “O” piece. Once you’ve determined the piece, store the new user to the collection and flip the has_joined switch so that the tic-tac-toe board shows up. Next, listen for changes in the collection. This time instead of fetch, use watch. This executes the callback function every time a new document is added or an existing document is updated (or deleted) that matches the query supplied. When the callback function is executed, loop through all the results and set the opponent details if the user ID of the document doesn’t match the user ID of current user. This is how you show the current user who their opponent is. Next subscribe to the changes made to documents of type move executed every time either of the players places their piece on the board. If that happens, loop through all the moves and add text to the corresponding block. I’ll be using the word “block” to refer to each individual cells in the board from now on. The text added is the piece used by each of the users, also replacing the class name with col done. col is the class used for Ionic’s grid implementation and done is the class used to show that a specific block already has a piece on it. You use this for checking if the user can still place their piece on the block. After updating the UI for the board, update the scores by calling the updateScores function (which you will add later). You call the placePiece function every time a user taps on any of the blocks on the board, supplying the ID of the block as an argument to this function. This allows you to manipulate it any way you want. In this case, you use it to check if the block doesn’t have the class of done. If it doesn’t, create a new move indicating the room, the ID of the block and the piece. To update the scores, construct an array containing the possible winning combinations. You can also do diagonally ([1, 5, 9] and [3, 5, 7]) but the editing tool that I used does’t allow me, so bear with me. Next, initialize the scores for each individual piece and loop through each possible combination. For each iteration of the loop, initialize the total number of pieces for each piece already placed in the board. Then loop through the items for the possible combinations. Using the id, check if the corresponding block already has a piece attached to it. If there is, get the actual piece and increment the total number of pieces. Once the loop is complete, check if the totals for each piece equals 3. If they do, increment the score for the piece until you’ve iterated through all the possible combinations. Once complete, update the score of the current player and the opponent. Breaking down the above code, you have the main wrapper which you don’t show until the user is connected to the Horizon server. This serves the project locally and opens up a new tab in your default browser. To create a mobile version add a platform to your project (for this example, Android). This assumes that you have already installed the Android SDK on your machine. You can then send the generated .apk file to your friend so you can both enjoy the game. Or you can also play solo if that’s your thing. In this tutorial you built a simple app and there are many things that could be improved. Below are a few areas you might want to try. Think of these as your homework for taking the skills that you’ve learned further. Build a 4×4 or 5×5 version: The 3×3 version you’ve built almost always leads to a stalemate, especially if both players are experts at playing tic-tac-toe. Scoring logic: You had to do a lot of looping just to get the scores for each player. Maybe you can think of a better way to implement it. Improve styling: The current styling is plain and it emulates the tic-tac-toe kids used to play on paper. Add animations: You might want to add a “slide down” animation for the board when the user joins a room or a “bounce in” animation when a player places their piece on the board. You can implement these kinds of animations using animate.css. Add social login: It might be overkill for such a simple app but if you want to learn how authentication in Horizon works then it’s a good excercise. With Horizon authentication you can have users login with their Facebook, Twitter or Github accounts. Add a play again feature: Show a “Play Again” button after the game has finished. When pressed, it clears the board and the scores so the players can play again. Add a realtime leaderboard: Add a leaderboard showing who has won the most games, a leaderboard for rooms with the most restarts (if you’ve implemented the play again feature). In you have any questions, comments or great app improvement ideas, please let me know in the comments below.